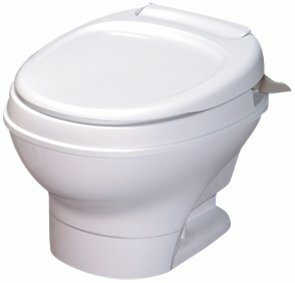 Thetford Aqua Magic V (Low Profile, Foot Flush Without Water Saver, White) is the most popular camper toilet product in North America. The Aqua Magic V is an economical choice and a solid, day-after-day performer. 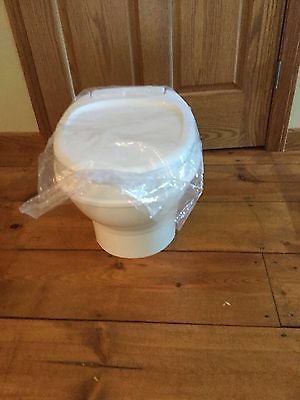 Easy to use foot flush pedal. A half way push on the pedal adds water, and a full push activates a flush. 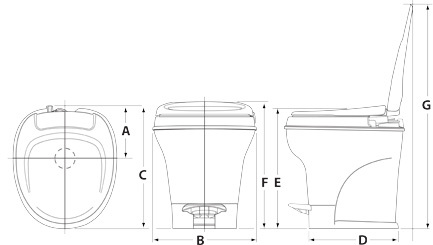 Texturized lid resists scuffs and sheds water. 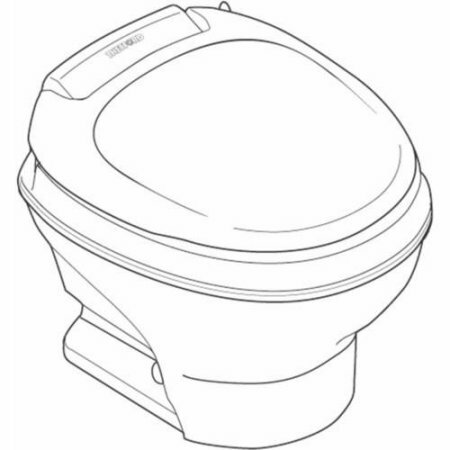 Thetford RV toilet Aqua Magic V low profile model offers a space saving design and has single-control fill and flush for full-bowl wash-down every time you activate the foot pedal. 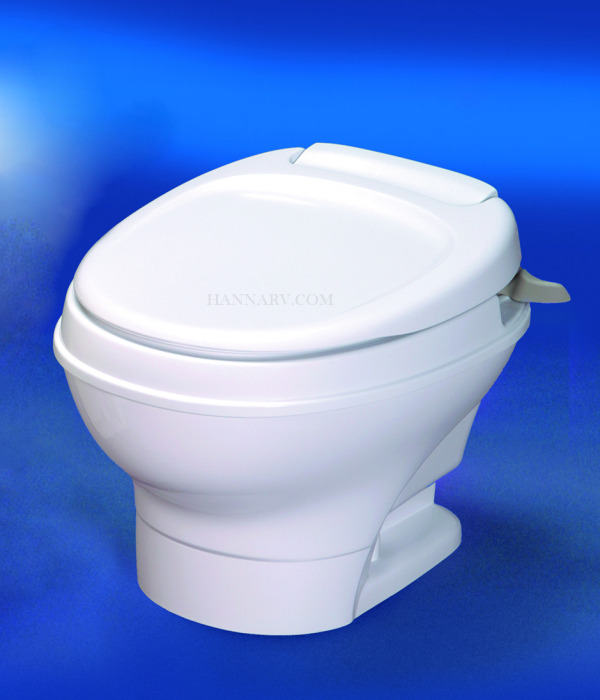 Its contemporary all plastic design is lightweight, easy to install and service. This model is also available in high (17-2/5") or low (12-9/10") profiles to fit your specific space requirements.